Embedded in the Sacred Valley of the Incas, between Cusco and Machu Picchu and along the Sacred Urubamba River, lies a real Vegetarian Eden, ready to welcome vegetarian and vegan travelers from all over the world. Willka Tika means Sacred Flower in Quechua, the original language of the Incas. This name represents everything that Carol, the founder of this inspiring place wished to impress upon, a retreat of love, beauty and spiritual development, an authentic living dedication to the heritage and spirit of the people of the Andes. 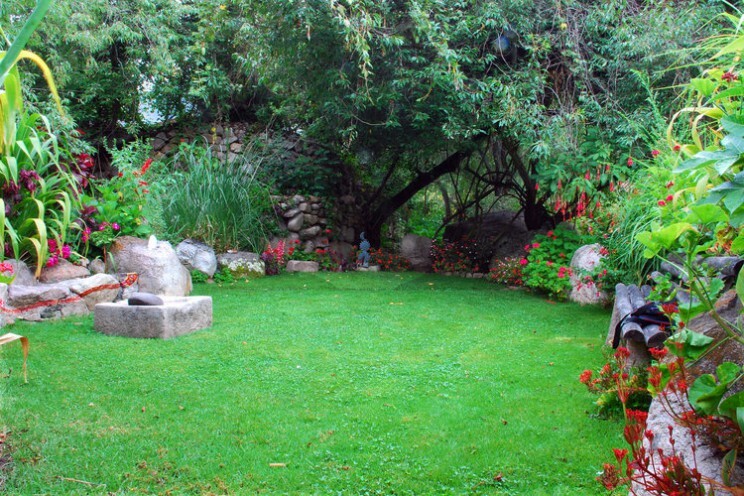 The gardens are laid out as Seven Sacred Gardens. Each is dedicated to a different energy center, to provide a perfect setting for personal meditation, healing and rejuvenation. The accommodation, merged into the gardens was built in a beautiful colonial style using all local materials. Most Vegetarian or Vegan travelers visiting Willka Tika feel immediately at home, when the staff, entirely Quechua neighbors welcome them with a local herb tea. Meals at Willka T’ika are something out of this world. The vegetarian ingredients are filled with the living energy of freshly harvested vegetables and salads grown in their own organic gardens; however, the common and main ingredient in every plate is love. Vegetarian guests always speak of the affection with which every recipe is prepared and offered to them; no wonder why one of the most often used words in the vegetarian visitor’s testimonials is “home”. Vegetarian Tour: The Inca Trail between Cusco and Machu Picchu in Peru.